Let’s face it. Although our favorite anime characters were created by their respective artists, they will always have a mom who gave birth to them and raised them to be our favorite heroes. As we celebrate Mother’s day, Asgard brings you the most notable mothers that anime and manga has given us. Yusuke’s mom is not what you would really label as mother material. 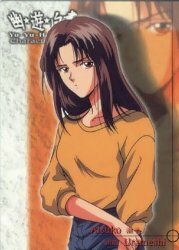 The lazy and alcoholic Atsuko gave birth to our Spirit Detective at the tender age of 14. Although mother and son would rarely get along with each other, Atsuko truly loves her only son; his death proved too much for Atsuko to bear and cried incessantly in a corner during his funeral. A cool fact about Atsuko is that, like her son, she can also sense spirits around her. Kage Houshi is one of the anime moms who are known for the sacrifices they make for their children. 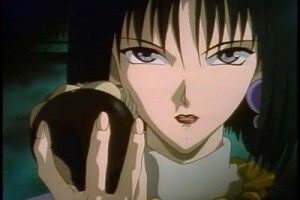 Formerly known as Kagero, Kage Houshi performed the forbidden technique of manipulating time in order for her to save her son from an ambush from another ninja village. By performing the said technique, Kage Houshi was doomed to live forever. Kage Houshi relentlessly searched for his son and found him as a boy who was already living his life as a modern day ninja. 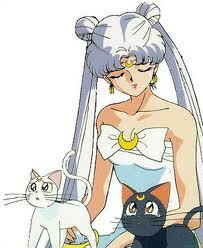 Queen Serenity ruled the Moon Kingdom in the time of the Silver Millenium. The mother of Princess Serenity gave up her life by using the Silver Crystal in order to save her beloved daughter, Prince Edymion and the rest of the Sailor Senshi from the attack that wiped out the Moon Kingdom. In the anime, an image of Queen Serenity appeared to the Sailor Senshi and told them the story of the Moon Kingdom. Her selfless act paved the way for Earth’s greatest guardians. 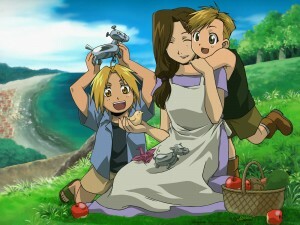 The sweet and gentle Trisha Elric raised young alchemists Edward and Alphonse Elric by herself. Trisha’s death turned the lives of Edward and Alphonse upside down. Grief stricken, the childred tried to bring her back from the dead. Their attempts at doing so, however, came out horribly wrong. The failed Human Transmutation left Edward without an arm and a leg while Alphonse’s soul was bound to a steel armor. Despite her death, Trisha’s love for her sons will always go with them for all eternity. More commonly known as “Nobita’s Mom”, Tamako Nobi is perpetually clad in a dress with the same design and certainly would not be caught dead without her round glasses. 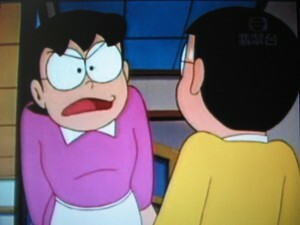 Although Doraemon is an old title, Tamako’s personality can be clearly seen in some real life mothers. Tamako is strict when it comes to Nobita’s education and would fly into a comedic rage when Nobita would get a number of failures. Doing chores in another issue. Tamako’s strictness is explainable: she loves her son and would only want the best for him. Whether your mom drives you up the wall or smothers you with love, cut her some slack. For all the hardwork she’s doing at home, she deserves to have special treatment not only on this day but every single day. Happy Mother’s Day from all of us here at Asgard!